This week, I broke my RC car. I got it on last Thursday, and after playing with it for 5 days, I broke it. The RC car was around 70 Canadian dollars and was advertised as highly durable. I bought from Bang Good and received it late by a week! They gave me 50 Bang Good points because it was late, which was a VERY small amount, around 15 cents. The RC car was great, I had driven it through grass, stones, and pavement and it handled all terrains well. The only problem was that it went to fast for its own good, for it kept on flipping over and that the motherboard always got to hard. Well, one day, when I was turning it off, it was soo hard to turn off, so when I tried to do it, I only succeeded in pulling the switch on the board (It was directly attached to the motherboard). After pulling the switch off, it started steaming, and I saw a small flame burning up a component in the motherboard! Well, it ended up that the burnt component was actually part of the board and a small resistor, which cut off the path for it to be able to go backwards. After that, the RC car could no longer go backwards, and continuously lost connection with the controller. Also, the motherboard got heated a lot easier and, therefore, could only be driven once in a long time. Some things that I learned from this, was to make sure you had warranties for the RC car on the website (this one didn't, I was so unhappy when I found out), and I also learned more about how the parts and the switch worked. I might also disconnect the old motherboard and find a new one, maybe also a new motor and servo all together, and only keep the chassis. Well, thanks for reading, and I hope you learned something from my experience! The car was well built, has independent suspension, proportional steering and speed. The maximum speed was around 25 mph and had awesome turning capabilities. It was four-wheel drive and used 2 AA Li-po 3.7-volt batteries. It was nice, but the springs immediately got really hard to move after 3 days of using it. After learning about writing for a year, I finally write my last essay. There are four questions to be answered: (1) what is writing, (2) what is the most important thing I have learned this year, (3) Is writing important to me? to others? why?, and (4) what can I do with my skills in the future. I will answer these questions in the following paragraphs. Writing is when we express our thoughts in form of letters. Writing can be a sword that changes the world, and it could be used for good or for evil. For example, the bible. That was God's present for us, the message of Reconciliation. And also, Darwin's books about evolution. Those are deceiving many people nowadays. I learned not to procrastinate when writing, or, in other words, "In everything". If you procrastinate, you won't get things done properly, for you will rush to get things done, and that is not good. Writing is important to me and to others. Why? Because I can express my feelings and thoughts with others, and others can express their feelings and thoughts with me. People can change the world with their writing. That is how important writing is (which is, very important). I could use my skills of writing for Everything in the future. I could use writing for programming, work, as a hobby, communicating with others, and many other things. In grade six English class of the Ron Paul Curriculum, I learned how to properly write. I learned about grammar, about books, and even how to write an essay! I learned a lot about writing in the Ron Paul Curriculum. The book, "The Call of the Wild", by Jack London is my favourite book that I read in Gr. 6 homeschooling. 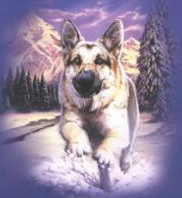 The main character in the book is a dog named Buck. The dog lived happily in domestic life until a traitor traded him to Gold finders. There, he learned the way of the Club and Fang. "Kill or be killed, eat or be eaten, was the law; and this mandate, down out of the depths of Time, he obeyed." (93). Once Buck was sold, he had a number of adventures. One of which was about the law of Club and Fang. Just as he was sold, he sprang with fury at a person in a red jacket, but that man hit him right down with the club, this happened numerable times, until Buck finally was knocked out. From this experience, Buck learned that he stood no chance against men armed with clubs. Buck made an enemy just as he entered the camp. The enemy was the team leader, Spitz. Therefore Spitz never lost an opportunity to kill Buck, and Buck never lost an opportunity to kill Spitz. Later, Buck and Spitz found an opportunity for an fight to the death. And in that fight, Buck won! Therefore from then on, Buck was the team leader. Later on in Buck's life, he learned of, "The Toil of Trace and Trail". Buck was harnessed like a horse, and brought a big sled behind him. He learned how hard this was, and how good it felt to be doing it. The team leader would be at the very front, and it would be his responsibility for making a good start. After they got to their determined destination, Buck was sold then to a inexperienced group of Gold Finders. Buck refused to move once he knew that danger ahead, and got the worst whipping, thankfully, a man named John Thornton saved him, and Buck grew to love him. Buck went with John Thornton for a long time, and was very sad when Indians found and killed Thornton. After being John Thornton's pet, Buck ran into the wild. I really liked this book and I recommend it to kids of all ages (as long as they can read the book). Once upon a time, there was a little dog named Honey, whom had a Bald body. He had a friend named Camo, the lizard. They both lived in a uninhabited island, and the dog always thirsted for a new life somewhere else. One day, the dog complained to his friend, "This swamp water is to disgusting, lets go to Antartica" but Camo said, "No. Tis' to cold for both of us." But the dog persisted in asking, and after a while, Camo finally allowed the dog to go, but he said that he would not go. Therefore the dog went to Antartica by himself. Once he arrived there, he got lost. After exploring a bit of Antartica, the dog saw bears warming up by a fire. He thought, "Maybe I can join them!" As Honey joined the bears, his experience proved his thought wrong. The bears chased him away, and he had to settle in a place far away from the fire, thinking, "Burr, burr, if only I had a fire!" And after that, he crawled into the snow and slept. After he awoke, he did not want to get out of his warm hole, but the sense of the need to explore prompted him to get out. After he got out, he saw, seals, walruses, and all sorts of blubbery animals. Then he said, "Burr, burr, if only I had a blanket!" After watching them for a long time, he settled back in his little hole, which turned back to being ice cold, and slept. When he awoke, he saw an Angel, who asked him, "What is it that you want?" the dog said, "Oh, how I wish for a nice, warm blanket which would ALWAYS follow me!" the Angel said, "Are you sure?" Honey said, "Of course." And suddenly, he was jerked out of his vision and had a blanket the ALWAYS would follow him, and it was called Fur (because he always said burr). A little while after that, Honey met his old friend named Camo, the Lizard, and said, "Why did you come here?" rather rudely, and Camo answered, ""Well... I was trying to find you..." After an awkward silence, Honey said, "Lets live here!" But, Camo said, "No. Tis' to cold." But this time the dog assented to go back. When our family was prepared to go to Hawaii, something bad happened; our plane could not go to Hawaii! This was very upsetting, but my dad was the hero of the occasion. He quickly found us a place to lodge, and after my dad had inquired of planes for a long time, we found a plane. Most of the time I kept silent and did not interrupt. My Dad prepared everything: we bought four tickets, we prepared our food, we woke at 3:00 am, and everything else you can imagine. But, one thing that happened which was not part of the plan was that the plane would not go to Hawaii. It was the first time we bought the cheaper tickets, and, on that first time, the plane did not go. Therefor it was a lesson learned. I was worried that we would not be able to go to Hawaii the moment the assistant announced that the plane would not be able to go, I wanted go way something, but I knew it was not the time to interrupt my dad. When the assistant announced the bad news, a person in the line continually cursed the assistant. Very soon we left, and found a place where we could rest. During the time we were resting, my dad kept on researching and inquiring for a safe, sure, but rather expensive flights. At last, we found a plane to Hawaii we had to drive a while, but it was worth it. What I helped to do during the challenge was to keep silent. I found out that when I was doing something, I did not like to be interrupted, for it was very annoying. Thus, I did not want to disturb my dad. Also, when I complained, it worried my dad. Therefore, I did not complain out loud. This family Challenge taught me to be quiet when somebody else was doing something important. Swiss Family Robinson was written as a book and as a movie. In the book and movie, there are differences and similarities between the characters, inventions, and adventures. Their are different main characters in the book and movie, and also a lot more characters in the movie. They make very different things, big and small. They have many adventures, true of both, but almost all of them are different. There are many different Characters in the book and movie of Swiss Family Robinson. One of them, is that the family members are different! In the book, there are four kids: Franz (also known as Francis), Jack, Ernest, and Fritz. While in the movie there are only four brothers: Franz, Ernest, and Fritz. There are also different dogs in both of the movies. 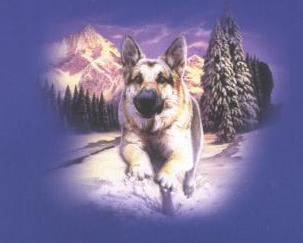 Both the book and movie have two dogs. In the book, there are dogs named Turk and Juno, while in the movie, there are dogs named Turk and Duke. One other difference is that there are Pirates in the movie, while there are no pirates in the book. Both of the editions have one girl in each. In the book, there is a girl called Emily (otherwise known as Jenny). On the other hand, there is a girl called Roberta in the movie. These are some differences in the book and movie of Swiss Family Robinson. There are also differences from the Inventions that the family have made in the book and movie. In the book, they make up all sorts of things, i.e., spoons and bowls from calabash trees, rowing machines (canoes that row for you), crushing machines, and all sorts of other inventions. While in the movie, they don't show them making any small invention in detail. They also make different houses. In the book, they make all sorts of houses: a winter house (a cave house), a tree house, a tent, a farm, a lot of gardens, and a lot of other things. While in the movie, they only make two big structures. A tree house with a lot of things in it, and a small tent. Those were some of the things that the family in the book and movie invented. The also had a lot of adventures. In the book, they had hundreds of small adventures, travelling while hunting, finding new trees, and all sorts of other fun things. But that is not all they did on the island. They had to work a lot on the island. It took a long time to plan, make, and finish the structures. It also took them a lot of brain power and physical power to do that. In the movie, It is almost the same, only they did not do half as much adventures. For them to find girls, took a lot of time. In the book they found the girl, Emily (Jenny), by finding a altraboss flying with a message. Fritz saw this message, and it read, "Save an unfortunate Englishwoman from the smoking rock!" Therefore, Fritz saved the woman after a great lot of detail, and then returned with Emily. In the movie, Fritz and Ernest both go on a adventure to find any ships or living beings on the island. After walking in swamps, dealing with pirates, and all other things, they finally go and arrive home with a girl named Roberta. There are many differences and similarities between the Swiss Family Robinson book and movie. If I Had a Strange Material, what would it be and what would I make out of It? Our Ship was a lumber ship, carrying Pine tree boards and Pine tree firs. I was alone on a ship, and there was a great storm. The sailors took off in the smaller boats; they thought the boat would sink, as there was a hole as big as a barrel stove in the ship. We were not very far from land, so if the storm was not so big, they could of reached land, but as it was I thought they could not reach land. I was very scared, I was out in the darkness alone, and I could not help thinking about all the ship-wrecked boats. Soon, the storm had somewhat lessened, and I saw that the boat was still able to float for a little while, so I calmed down. I started thinking how I would get to a shore. I chose a raft as the first thing to make. Why, because the sea was calm, and the supply of Pine tree boards and Pine tree firs were very plenty. Therefore I could easily make a little raft on the ship and sail to the little island. I could not repair the craft, therefore to make a raft would be one of the only options. I went into the storage cabin, which was half-filled with water, and took a hammer, two thin boards for paddles, some nails, and Pine tree firs and boards. So I began making the raft. I took some big boards, and laid them side by side. Then, I nailed them together, and by repeating this operation, I soon got the sturdy square base of my raft. Next, I nailed some boards unto the sides of my raft which were upright. These were to serve as walls to keep off a little bit of water, moreover, to keep me from slipping off the sides of the rude craft I had made. I added more boards to the bottom and the sides, and stacked it full of Pine tree firs; it sweet smelling. Finally I added a bit of cloth to make it comfortable. Then, I went out on the boat, on the ocean, and to the Island. After a peaceful and fun trip on the ocean, I arrived on land. I noticed that the island had abundant fruit trees, and plenty of refreshing streams of water. There were also distant mountains, so if I was with my family, and if the boat was supposed to stop there, I might have throughly enjoyed the background. The first thing I did, was to pray. Next, I decided to then make a little sign that somebody was shipwrecked on an island. All I did was take my paddle, and stick it the sand. Then I took a life preserver I wore and stuck it on top of the pole. After eating clams that I found on the shore and some coconuts thrown to me by monkeys, I decided to make a little bed; it was almost night time. The Bed was very easy to make. All I did was use 4 long Pine tree boards, and nailed them together side by side. Then, I made short walls, and in the inside of bed, I laid a lot of Pine tree firs. As it was now a little bit spiky, I added a little bit of cloth that was on my raft before. The Island was well laid out with trees, streams, and mountains. There was a lot of different types of plants, and I saw that if I chose a place by the mountains, rivers, and trees, it would be AWESOME! So I decided to make a tent. I began making the little tent by taking five Pine tree boards. I laid them in a tent like fashion, making two triangles, and connecting them together with another Pine tree board. Next, I laid some other boards on as to make a slanted roof. There was roof for my little Pine tree bed in the tent, and also a little leftover space! I chose my strange material as a Pine tree, because using a Pine tree, you can meet many of your life's needs. Like having a shelter, reaching land, sleeping on dry, comfortable beds, and all sorts of things. The Pine tree is very useful. In the book, Tanglewood Tales, Antaeus was a Earthborn Cyclops, who was a brother with the Pygmies. Antaeus was a very tall giant, so tall that he reached the clouds! His walking stick(a pine tree), was eight feet tall! As a cyclops, he had a great, vast eye in the center of his forehead, which allowed his to see the entire Kingdom of his brothers. Antaeus loved his brothers a lot. He would help them with whatever he could do, including: blow their windmills, block the sun on a hot day, and all sorts of other things. To other people, he was not was nice. He would yell in his great booming voice for others to get away, and he he was very discourteous to others. Antaeus did not have any special talents, with the exception that he would get 10× stronger every step he took. However he was very special in one way. He was very loving and kind to his brothers. The Pygmies were very small compared to him, and were even counted as a very tall pygmy if they were only 6-8 inches tall. The Pygmies loved to play jokes on him, even though he was so very big. They would prick him with needles, pull his beards, and all sorts of other funny things. Antaeus was a very loving cyclops to his brothers, but to not be trusting him, is my message to others. The Intelligent Potato Maker is finally in store! selling for only $125.00. The Potato Maker has an intelligent processor that is able to make any type of food consisting of Potatoes. Customize your own recipe and send it to the Potato Maker! The intelligent Potato Maker is able to make any recipe within a time period of your own choice. the Potato Maker is sure to let you taste the best quality Potatoes. It is very easy to make Potatoes with the Intelligent Potato Maker. If you are making fries, all you have to do is to press the fries button and and chose what time you want the Potato to be ready at. When your friends come, be sure to give them some Potatoes from the Potato Maker, and they will definitely become your best friend! But be warned, if too many people taste the Potatoes, your house will overflow with people and they will eat you out of house and home! The same thing goes with making your own recipes with the Potato Maker, download the recipe on a device, and send it to the processor of the Potato Maker. The Potato Maker will again finish at the time of your choice, and be ready with the most delicious Potatoes. This will truly make your life happier. For Potatoes can be very healthy, and can taste excellent. The Potato Maker does not need as much oil, thus it will be very healthy. Who does not like Fries, Chips, or even Poutine? The new tech Potato Maker will make everything healthy and yummy! Potato Lovers, buy this! this is an Excellent Potato Maker and will fulfill your wishes and maybe preform beyond your wishes. For non-Potato lover, (Even though I do not believe you exist) when tasting, you will definitely fall in love with Potatoes. In Around the World in 80 Days by Jules Verne, Mr. Fogg travels to India. In India there are a lot of different beliefs, some of which India gave birth to themselves. There are also a lot of Indian traditions. Indians held many festivals, most festivals for celebrating their gods. Indians also had many hobbies. Indians loved Music, Dancing, and also Puppetry. Indian religion was very important. The Indians originated four major religions: Hinduism, Buddhism, Jainism, and Skitism. About 80% of the people in India believed in Hinduism. There are many Hindu gods, one of which is called Kali, who is the goddess of Love and especially of death, for the goddess Kali comes from the word kāla. The Indians had many religions. The Indians passed on a lot of things to their children. They passed on many religious ceremonies, celebrations, offerings, and most importantly, beliefs. The Indians also had many rules, one of which that Christians were not allowed to enter certain Indian temples. The Indians trapped, grew, and hunted their food, mostly growing maize (corn). The Indians had many traditions. Indians also had many Interesting hobbies. They loved to hear Music, consisting of folk, pop, popular, and classical songs. The Indians also loved to Dance. When women danced, they were very careful of what they wore. At evening, Indians usually look forward to dancing. The Indians also thought a lot of puppetry. But most of the time, puppetry only happened in villages. The Indians had many hobbies. The Indian culture was a very Interesting one. One different from many others, for the peoples' religion, tradition, and hobbies were all different.